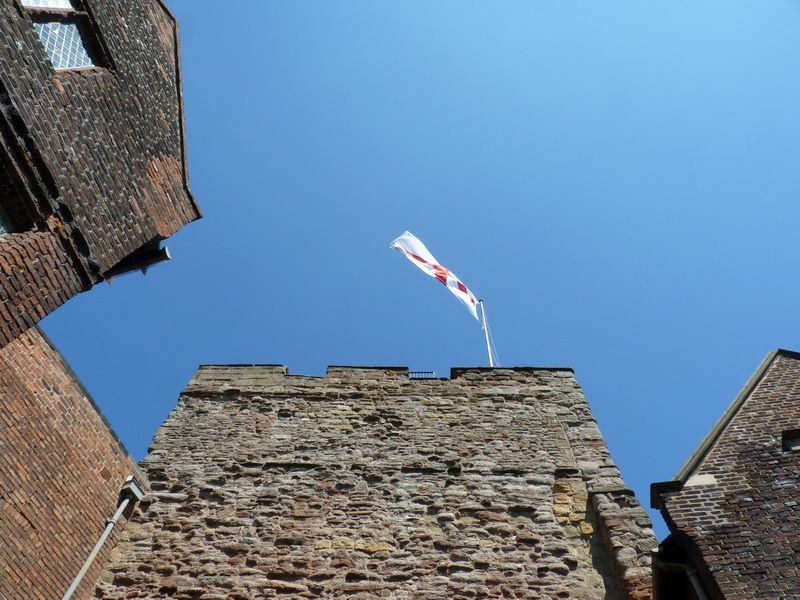 We had a visit to Tamworth castle a few weeks ago, the entrance price was £5 For adults and £3 For children. When we went there was no mayor events on, though through out the year there are different events. The castle was built in 11th century and as undergone several changes over the centuries, was originally built by the Normans, the castle overlooks the river Tame. On our trip was nice to see part of our local history, as you go round there are information boards telling you about the part of the castle you are in, also some of the rooms do have various displays with items describing the history of the castle, which is good but unfortunately my daughter wasn’t really interested in reading everything, so I didn’t have chance to look and read everything. We went into the dungeon but my daughter was expecting something like the dungeon attraction at Warwick castle, unfortunately because there wasn’t anything special going on, or even anyone in any of the rooms telling you about the different history etc my daughter wasn’t fully interested and did get a bit bored, but was worth a visit, though I wouldn’t recommend a special visit unless a event is going on or you are around Tamworth town centre. In a few weeks we are going on a special event at Tamworth castle, it is a full ghost search with mediums doing vigils in different parts of the castle, this is for people that are serious about the paranormal and for over 16’s only. I will do a full write up on the evening after going, so check back soon for more information.